Corrosion in nuclear power plants cause reductions in efficiency and increases in deposit build-up on plant surfaces, making for expensive maintentance and potential radiological health hazards. 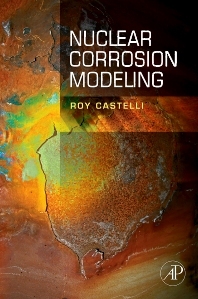 This book guides studies to predict and minimize corrosion, thus making nuclear power safer and more cost effective. Too often, reliance on empirical models and on-site testing of existing plants makes study and prediction of corrosive effects in nuclear reactors into a pricey and lengthy process. Introducing the experimental procedures, set up, sample preparation and computer modeling suggested in this book will save precious time and resources in a field where the significant time and expense to get and keep plants on-line are two of the chief concerns preventing broader commerical viability.